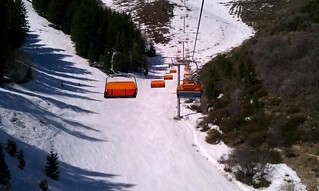 After 3 days of good to great conditions (at the end of March, GASP! ), it was due time for a reality check. $96?! Damn. 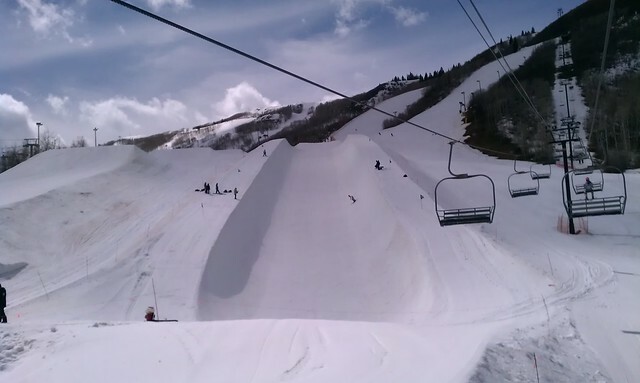 The cost of half day at Canyons is as much as a full day at Snowbird! I learned, after the fact, that the local Costco sells discounted tickets to Canyons. This pic is from winter, I swear. We started our day with the Orange Bubble Express. 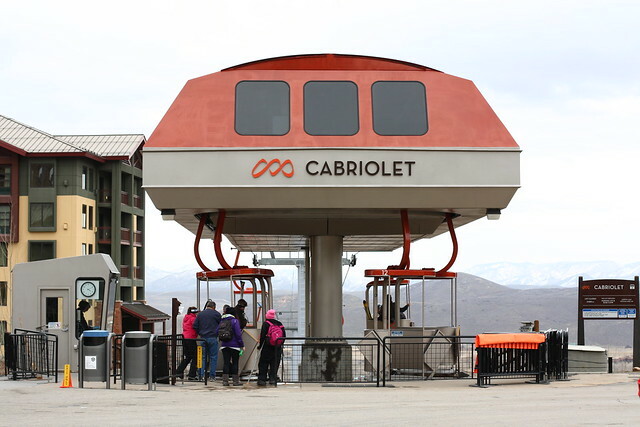 This lift is pretty famous because it’s the only one with heated seats and a sun/wind visor. Ballin! 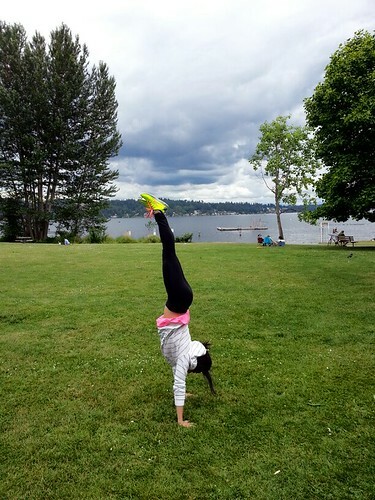 I guess it’s kind of cool, but seriously, do you really need these things? Don’t be a pansy. This must be why my ticket cost $96! I heard great things about Canyons while I was planning this trip, but I knew I had to lower my expectations a bit given how horrible this season has been. 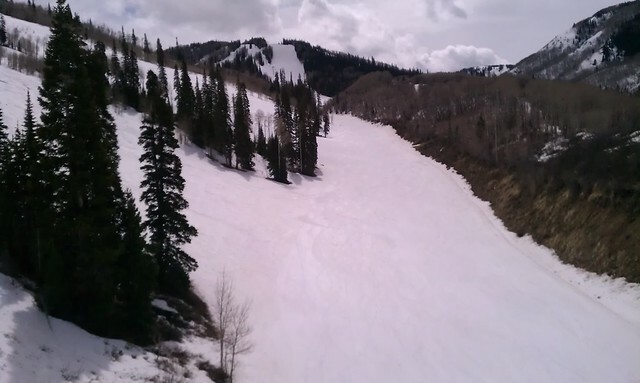 Then we came to Utah and was totally blown away by Snowbird so I figured we would get more of the same at Canyons. Unfortunately, this wasn’t the case. AT ALL. Mid-mountain was slushy where the sun hit and icy in the shade. Stop and go, stop and go, was no fun. We tried to make the best of it, but it seemed like all runs leading back to the mid-mountain lifts were catwalks and slushy catwalks are pretty much the worst things EVAR. 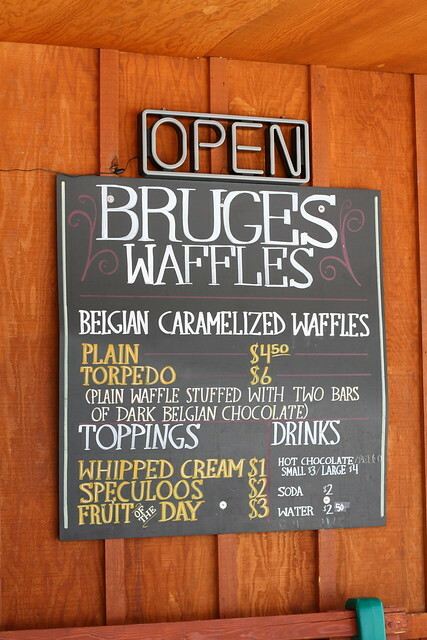 We hoped the top of the mountain would be better, but before we headed up, we had to re-energize with a waffle break. The waffle was OK. 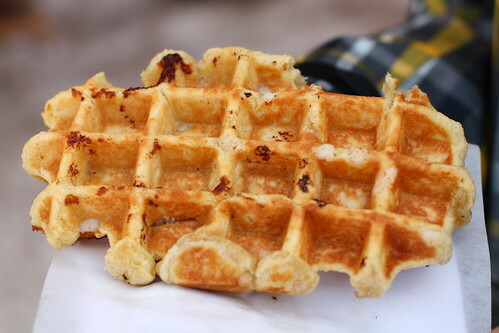 I was confused because some of the sugar was still crystallized inside the waffle – that’s not how it’s supposed to be right? Eating chunks of sugar was strange. 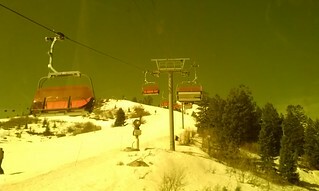 After our quick break, we took the Ninety-Nine 90 lift to the top of the mountain. 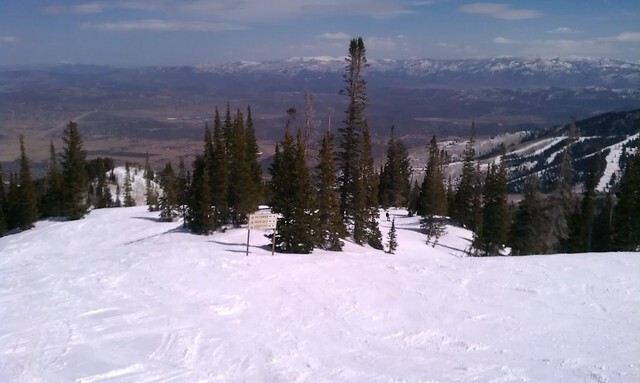 I didn’t understand the name of the lift at first, but then I realized DUH, 9990 ft is the elevation. The top wasn’t much better than mid-mountain since it was all icy. We did one run and didn’t bother going back up. I’m not sure what I hate more, ice or slush. Based on my one day experience, I’m pretty sure I won’t be coming back to Canyons in the future. 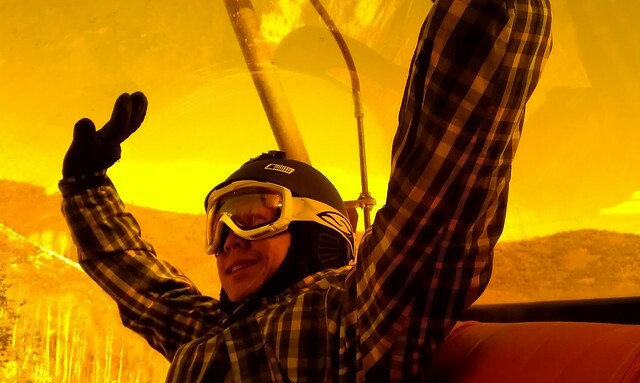 For a ticket price that is almost as much as Vail/Breck (and more than Mammoth! ), I just don’t see how Canyons is worth the money, even in good conditions. Anyone who disagrees, please let me know what I am missing! 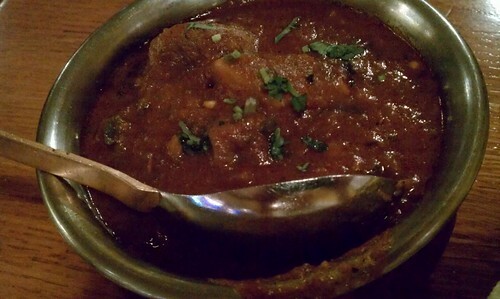 Although Canyons was a bust, dinner at Himalayan Kitchen partly made up for it. We ordered “medium” spicy for the curry and vindaloo and man, they were SPICY, but good spicy, not uncomfortable spicy… though… I did contemplate ordering a mango lassi after we started eating. 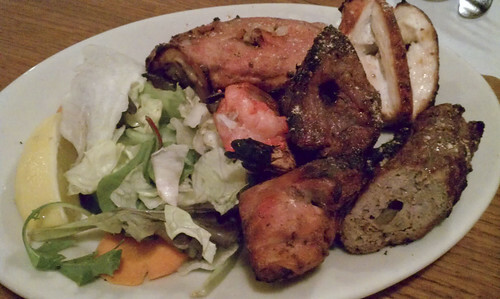 😉 Everything was delicious and the lamb and fish were especially tender. My only complaint, as with Mazza, is that the prices are steep. 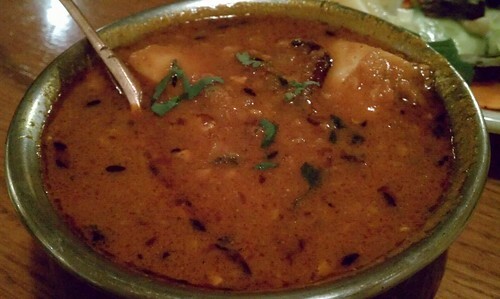 I understand the curry was made with Mahi-Mahi, but $17 for a small bowl of fish curry is a lot. 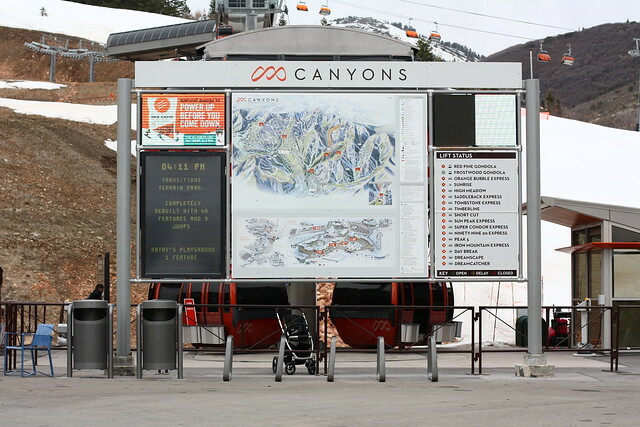 When we checked the ticket prices for Park City, the website wasn’t updated so the prices were the same as Canyons. 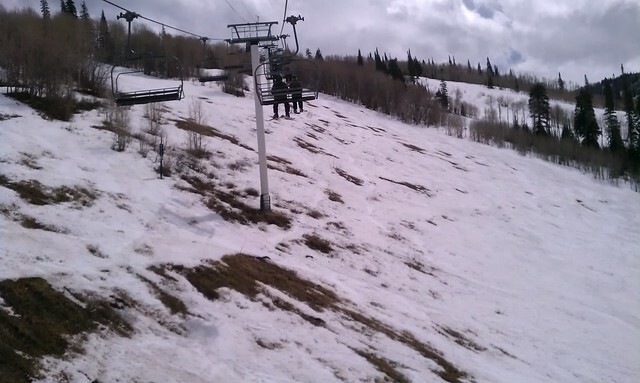 Not wanting waste another $96, we decided to ride a half day and then go back to Snowbird for our last full day in Utah. 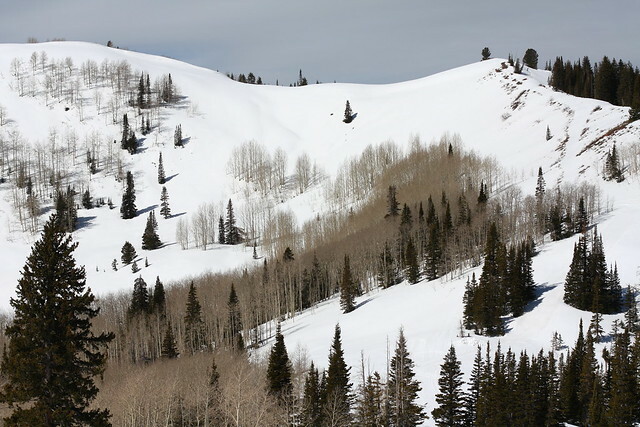 First of all, thank you, Park City, for being reasonable and adjusting ticket prices based on conditions and late season. Having to pay only $65 was a nice surprise and guess what??? 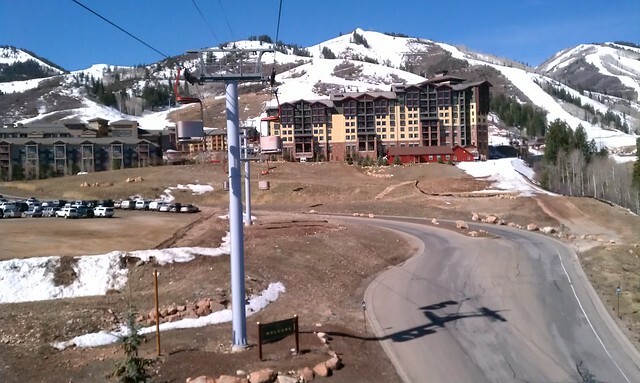 If I had paid $96 for Park City, it still would have been WAY more worth it than Canyons. For the most part, the coverage was decent. There were some areas, especially near the bottom of the mountain, that had limited coverage. 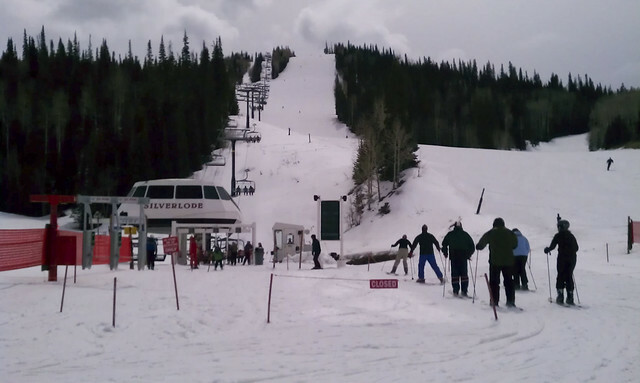 So yesterday was bad day at Canyons, but good dinner. 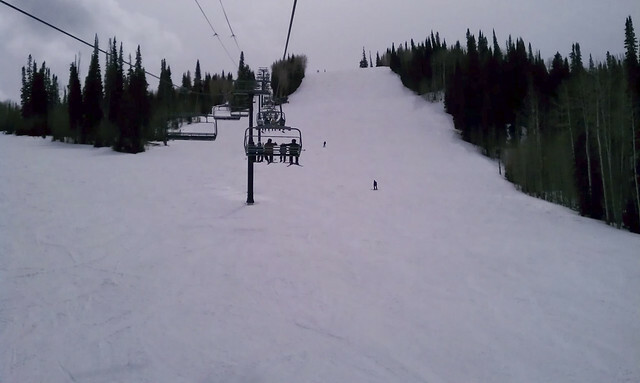 Today was good day at Park City, but bad dinner. 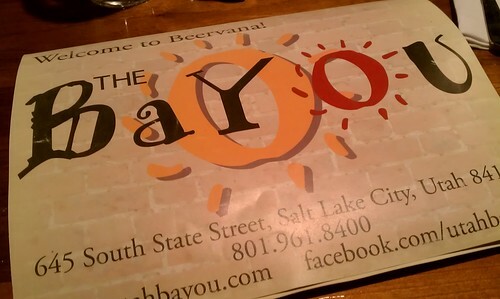 Bayou supposedly has a great beer selection, but we didn’t go there for the beer, we went for the food. Perhaps that was our mistake. 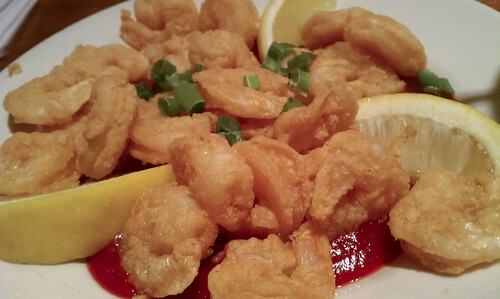 We started with two appetizers: popcorn shrimp ($5.99) and seafood balls ($6.99). The popcorn shrimp were OK. It was interesting that they were so lightly breaded and I don’t quite understand why the shrimp were placed directly over the sauce. 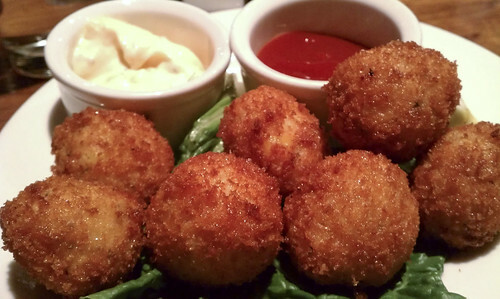 According to the menu, the seafood balls are a mixture of salmon, crawfish and shrimp. The mix must have been 80% salmon because that’s all I could taste. Our entrees weren’t much better. 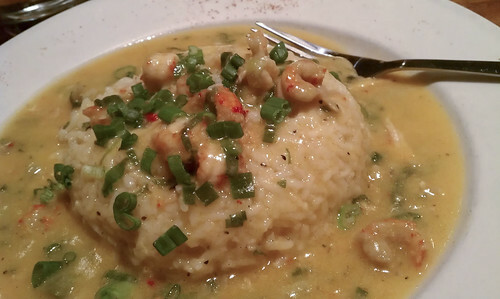 The etouffee had no flavor and the few crawfish in the dish were overcooked. 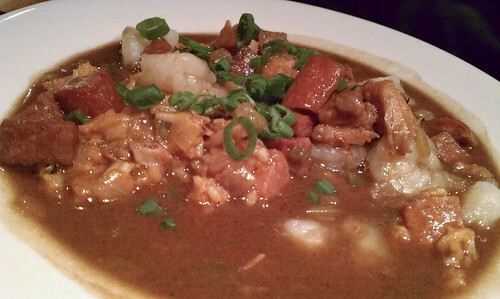 The gumbolaya, on the other hand, was sooooooooo salty! The shrimp that we added to the gumbolaya were flavorless so it was pretty obvious that they were just thrown in right before the dish was plated. I could also tell they were frozen shrimp since they had a rubbery texture. Yuck.